The Orlando Magic and Brooklyn Nets were just supposed to be here for the fun of the NBA Playoffs, but apparently, neither team got the memo. The Magic stopped the Toronto Raptors 104-101 and The Nets beat Philadelphia by a score of 111-102. 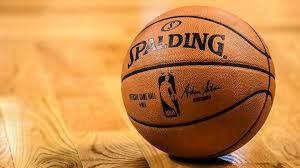 San Antonio stop the Denver Nuggets 101-96 as well which many people thought was an upset. Anytime you play San Antonio they can beat you. It's just the nature of the beast. Now all three teams did come up with big wins, but the odds of them winning the series is still remote at best. Out of all three teams, Orlando has the best shot of pulling the upset. Why Orlando? Since the All-Star break, they have been playing very well. We all know how Toronto seems to shrink in the playoffs so I give Orlando the best shot.